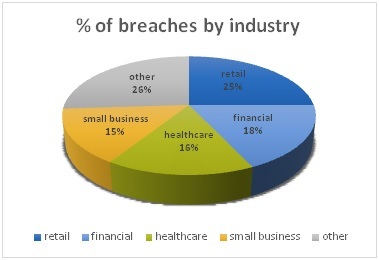 *Small businesses were most susceptible to hacking and malware attacks, but also experienced physical breaches at a greater rate than larger businesses. Hoffman Security has partnered with CSR Professional Services to provide you with a self-guided online questionnaire to help you assess the risk of PII (Personally Identifiable Information) loss in your business and prepare you for future breaches. You will receive a list of recommended tasks for remediation, and best practices to help you comply with legal requirements to safeguard your PII data and train your employees. •	24/7 access to allow ongoing input and regular monitoring.